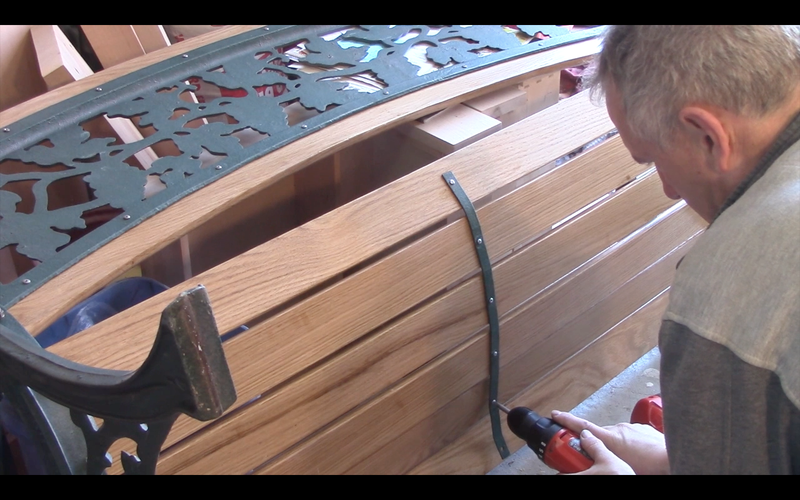 The Chris Pine Workshop: How to Restore a Park Bench. 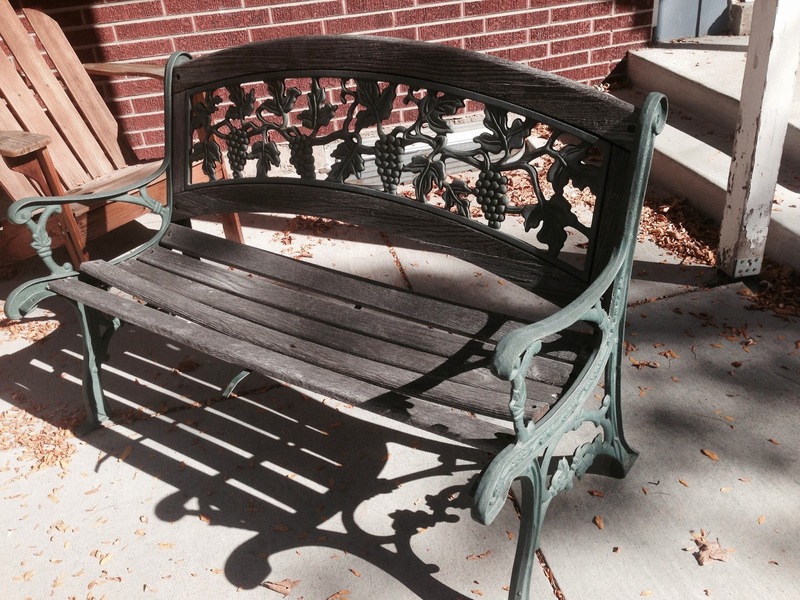 I bought this park bench on craigslist last fall for about $25. Obviously it needed some attention. I wanted to find one of these and restore it as I thought it would be a fun project and I have some white oak that would be perfect for this! 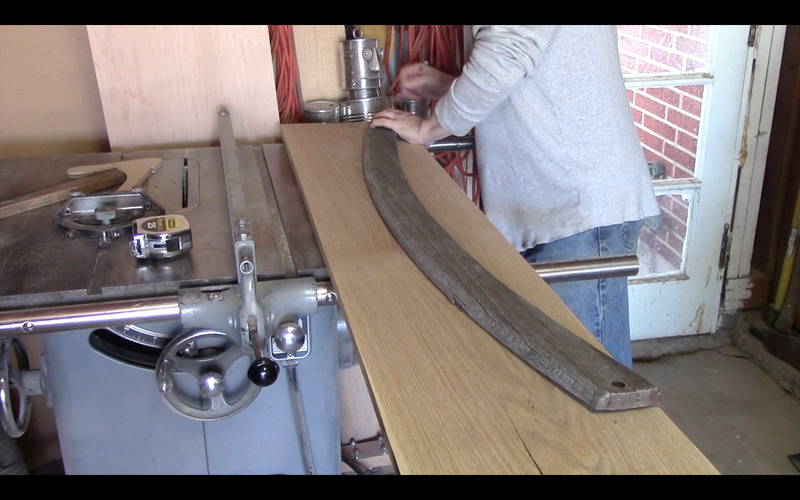 White oak is a great wood for use on outdoor projects! I disassembled it and put it away for the past many months of winter. As springtime is starting to spring it seems like great time to get this project done. It is fairly simple in execution as you can use the old pieces as templates for the new ones. 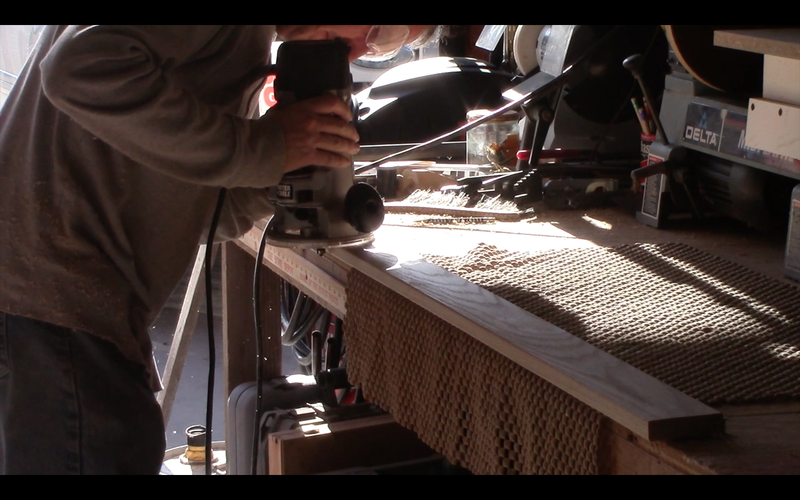 I did just that, however I made the slats a little wide as I could tell I had plenty of room to do so. I rounded over the pieces as appropriate with my router. 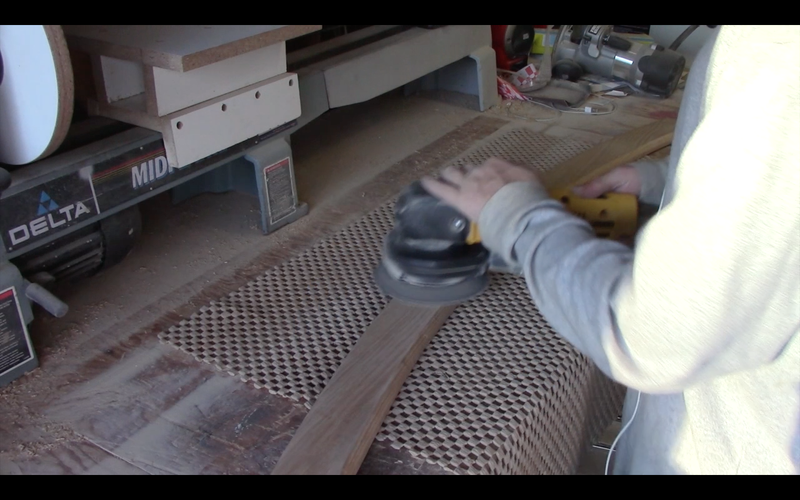 Sanding is always a fn task! (NOT) I sanded and sanded some more. The wood came out awesome! I drilled the counter bore with a forester bit and the holes for the bolts. The bolts that came with the bench were made from brass and I would have liked to have kept that throughout I did nto want to spend the extra cost for that (it is expensive) so I purchased zinc voted bolts, lock washers and nuts. I used what I could from the old hardware and replaced as required with the new. I painted the bolt heads brown to fit better with the color of the bench. The screws that go on the back rest portion I also replaced as necessary. The bottom has this metal strap that gets screwed into each slat and when you do this it evens out the slot in the middle. Very nice! I finished the wood with three healthy coats of spat eurathane. 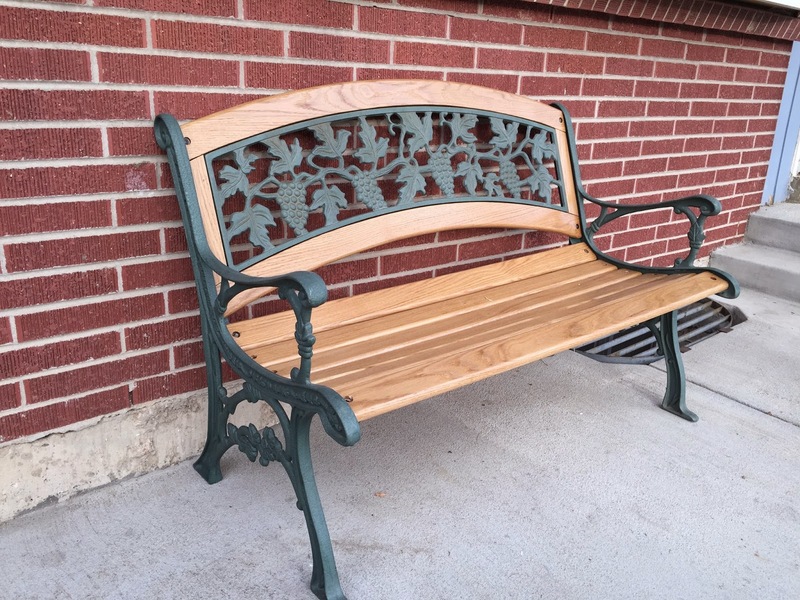 This should work nicely but we will see as I have placed this bench on our front porch and it faces west. It will be getting afternoon sun everyday ad we will see how this finish holds up. I like these kind of benches but the price tag for a new one I don’t care for all that much! 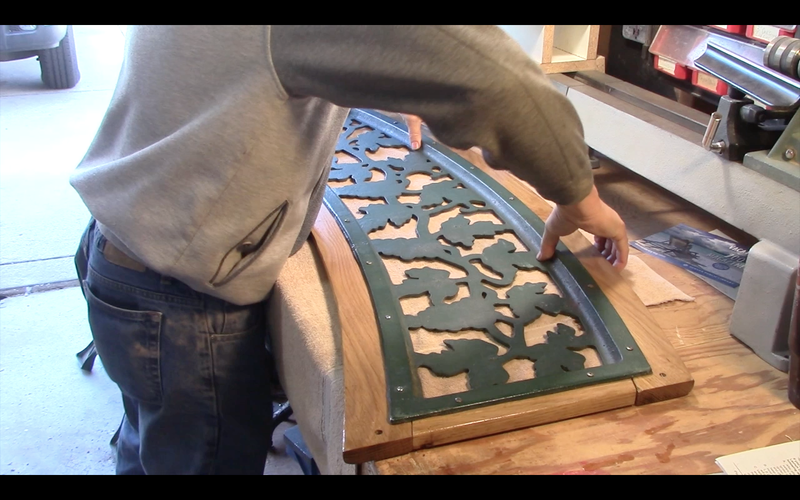 :) I thoroughly enjoyed this project and will be keeping my eye on craigslist for a potential future bench project! Thanks for watching! Happy Easter and God bless!